This summer has been full of healing art! While we’ve been busy facilitating and training, we’ve also been busy behind the scenes refreshing our website. We’ve updated the look and feel of the site with more readable fonts, responsive animations, and more while keeping the core “design” in place. With this update, we also optimized the website to load quicker on mobile and at home. During the refresh, we also analyzed 2 years of website traffic, user comments, and suggestions in order to see how we could improve. As a result, we’ve made a few changes and improvements to the website that we hope you’ll enjoy! 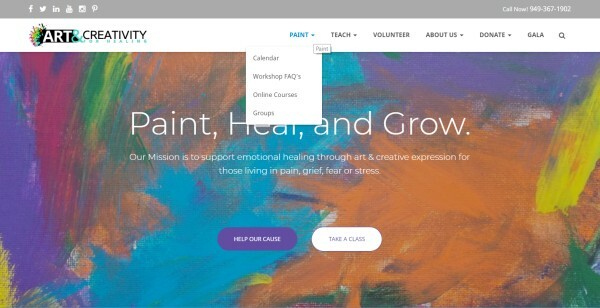 We have renamed the “Participate” category to “Paint” at the top of the website. 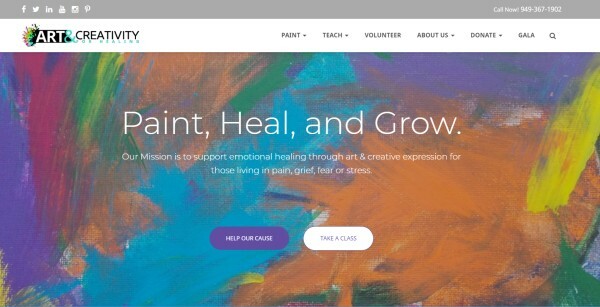 We feel that the verb “Paint” better reflects what we do. Most of the content you found under “Participate” can now be found under “Paint”. 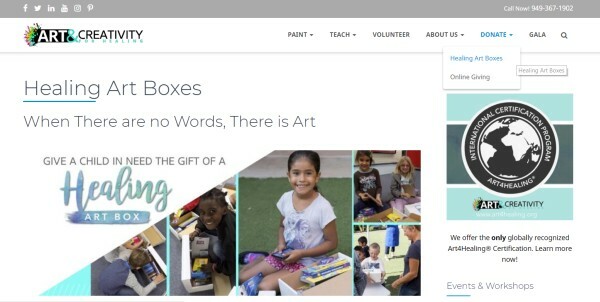 Our annual Healing Art Box drive is an important part of our mission. Previously, we had content about the drive on our Donate page. Since we spend a good deal of the year on the drive, we’ve decided to build a new Healing Art Boxes page to emphasize it more. 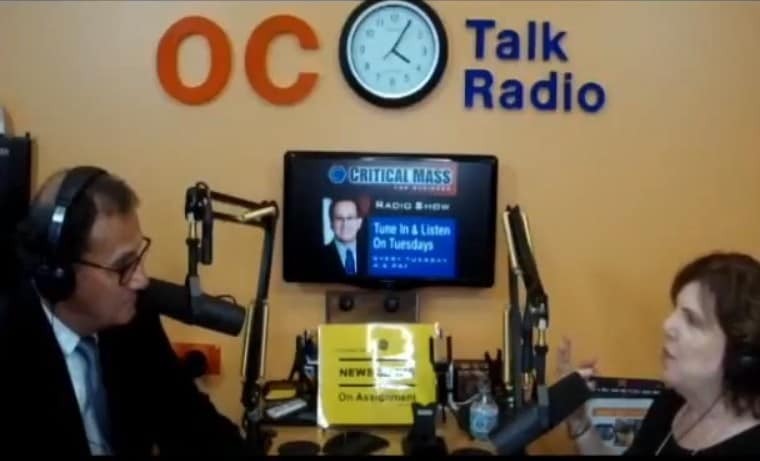 We hope you’ll enjoy the expanded content on the program there! 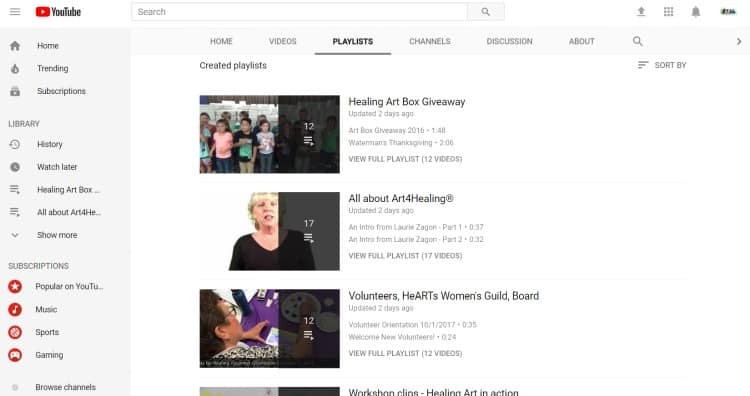 Check out Healing Art Boxes under the “Donate” menu! We’ve handed out paper “rack cards” describing our programs for years. Although our site mentioned our programs, we wanted to provide a space dedicated to more detail on our six Core Programs. 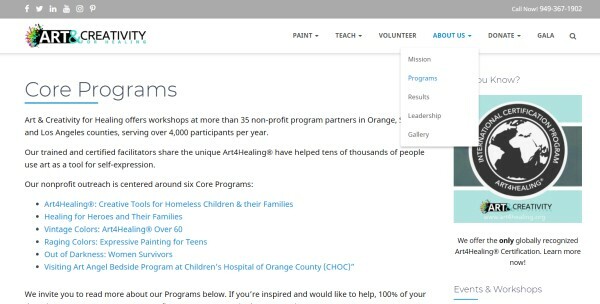 We hope this new Programs page, with expanded content, gives you a clearer picture of our impact on the community! Visit our Core Programs now! We now have a full list of our Partner Agencies and Sites by Program on our Mission page for our reference. Check this list on the Mission page now – we’re sure you’ll recognize some of our Partners! Taken a workshop or class? Want to stay in touch with us? Whatever your reason, we love it when you stay in touch! Now we have a single page that lists all of the ways you can Stay Engaged with us. Check out the Stay Engaged Page in the footer navigation. Our newsletter goes out to thousands of people per month. However, we know time is short or e-mail ends up in the spam or trash! Now, you can look back at the last 10 issues of our newsletter at any time! Just check out or Archive page, accessible from the right menu on any of our web pages. Check out the newsletter archives now! We’ve added a handy search icon in the top menu bar of the website. Looking for information about a program? Can’t find an old blog post you’d like to read? No problem. Just click on the magnifying glass in the navigation. 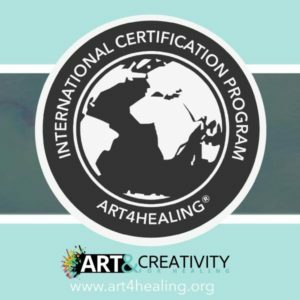 We love showcasing healing art, and have thousands of new creations per year to share! We’ve updated our galleries with a cleaner presentation that’s easier to browse through. You’ll notice it throughout the website, but in particular in our gallery section.